On the morning that Nina and Asher Teller's marriage falls apart in their Southern Californian kitchen, their young daughter, Hannah, is the victim of a hit-and-run accident that will leave her leg in a cast for much of the next decade. Nina's next husband introduces her to nudism and soon suggests they plunge further into the sexual revolution of the 1970s. Meanwhile, the remorseful driver, Martin, tries to bury his dark secret under the flashing lights and ringing bells of Las Vegas. 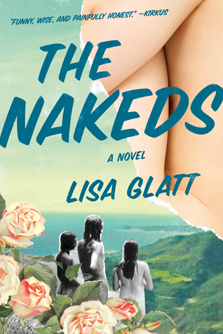 The Nakeds is an absorbing, darkly comical story of love and desire, of forgiveness and the unforgivable, and the truths we sometimes hide underneath our very own skin.